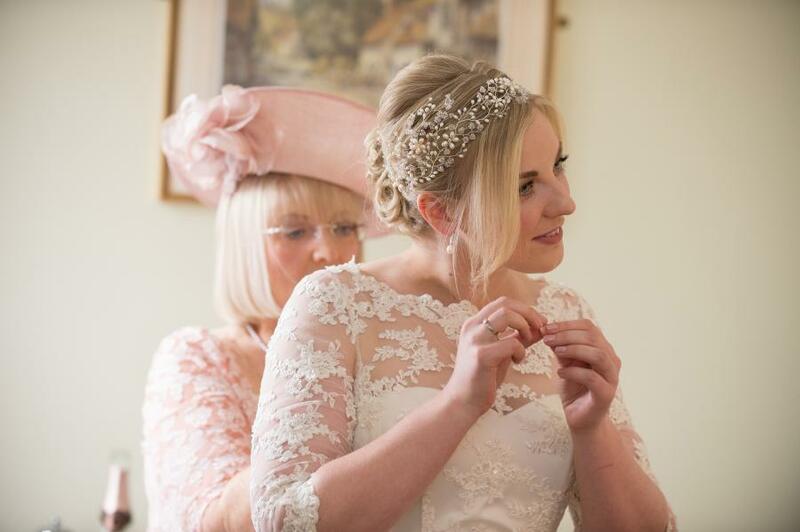 "Thank you so much for my beautiful headdress, I absolutely loved wearing it on my wedding day. I felt so special and received so many compliments from family and friends." Natalie wearing her lovely Persephone headdress, designed and created by Hermione Harbutt. Photography by Tim Hardy.